Project portfolio managers! This one is for you. You need to use single project views if you are planning resources for multiple ongoing projects. 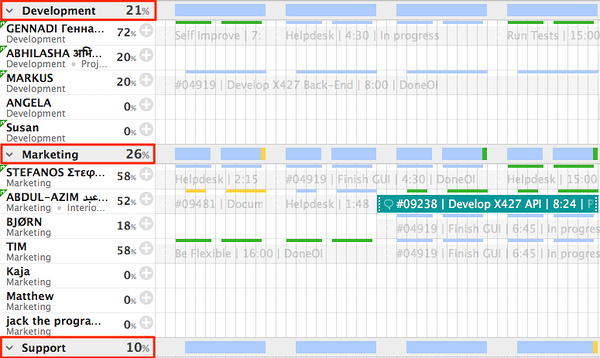 Single project views are great if you want to focus only on one project at a time but keep an eye on how it relates to other projects' tasks. In addition to that, you can add different filters and grouping options to the view to customize it. 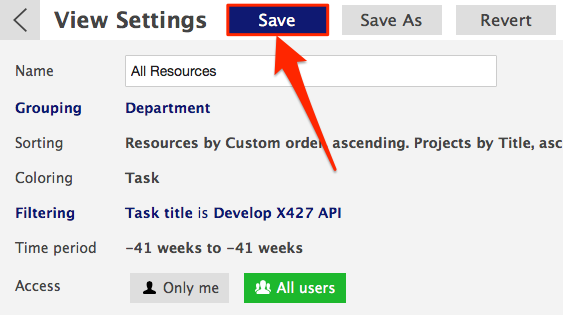 For example, if you are planning a project that only uses the resources of one of the departments at your organization, filter out the department, and save the filter to the view. If you need to find all your engineers for the task you are planning, use filtering but don't save it. Although the default time period for projects is defined with the start date of the first task connected to it and with the end date of the last task, you can zoom in or zoom out according to your needs using the timeline navigation options. Again, you can save the changes you made or not if you don't want the settings to be permanent. When planning resources in a project view, tasks are automatically connected to that project. You can change that later if you wish. You can add filters and groupings to a project view to customize the view to what suits you the best. Use timeline navigation tools to change the time period displayed in the Gantt chart area. This will open the Project List View. This will open the Project(s) in separate views. 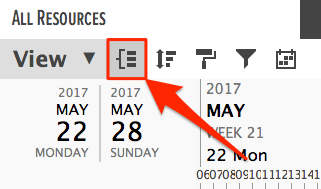 Toggle 'USED' to only see resources that have tasks associated with that project in given time frame. Search the data you'd like to filter (Data Fields, Resources etc). Select the data you're looking for and click 'Apply'. All of the irrelevant data is hidden. 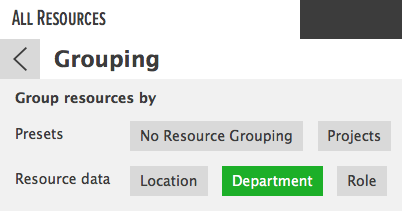 You can choose from the fixed options or the Resource Data Field based Groupings. You can combine different filters and groupings on the go or save them to the project view permanently. If you don't save the options you have made, they will be canceled with a reload. Did not find the answer to your question regarding project views?